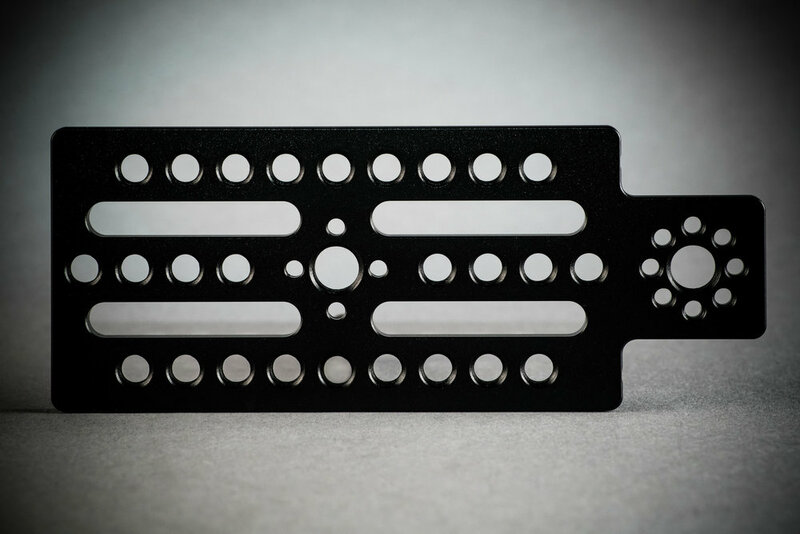 Made from carbon fiber and aircraft-grade aluminum, Ecto Plate is lightweight but sturdy. 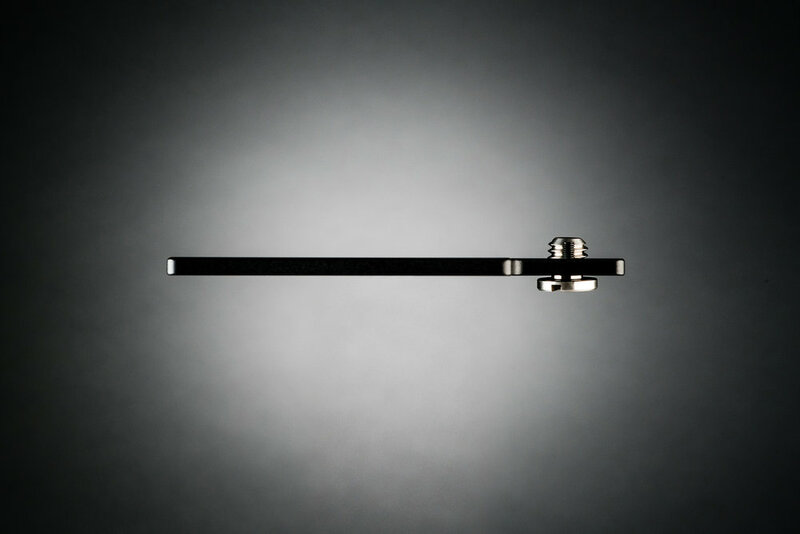 Retractable/removable Arri-style anti-rotation pins allow quick and secure mounting that won't sag or wiggle loose. 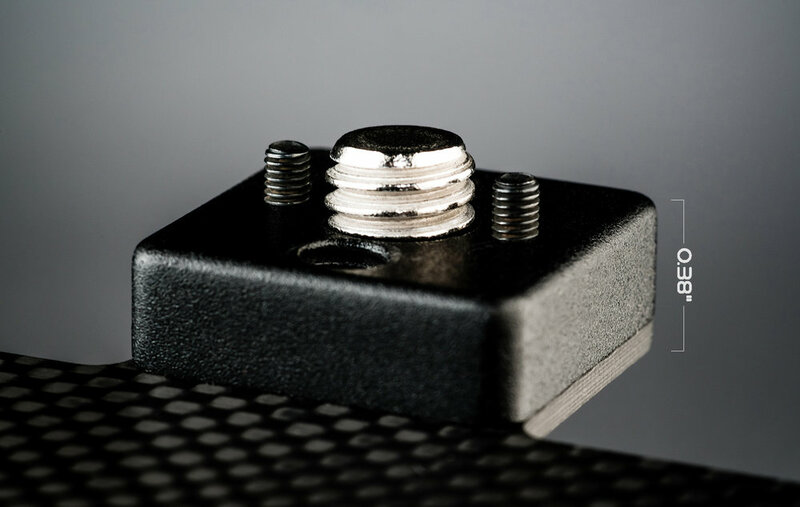 Just back out the pins with a standard allen wrench and Ecto Plate mounts flush on any top handle, cage, or cheese-plate. 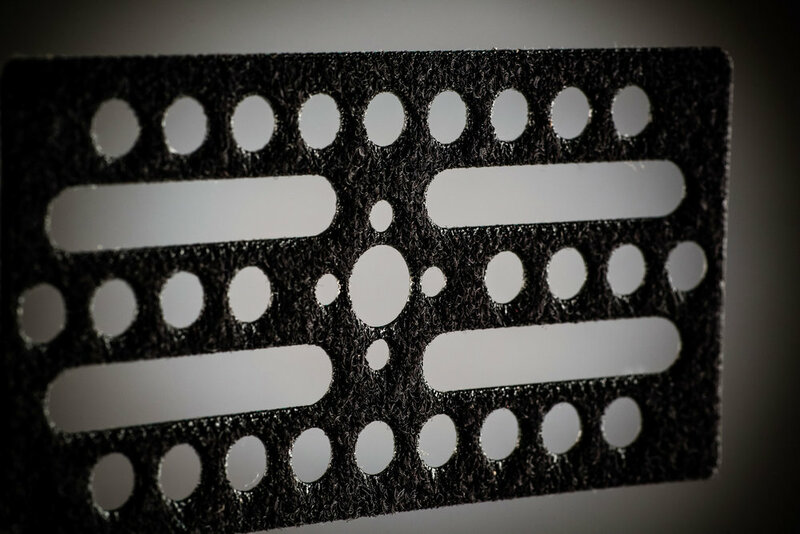 Ecto Plate CF comes with 3/8-16 (captive) and 1/4-20 mounting screws as well as two female 1/4-20 holes. 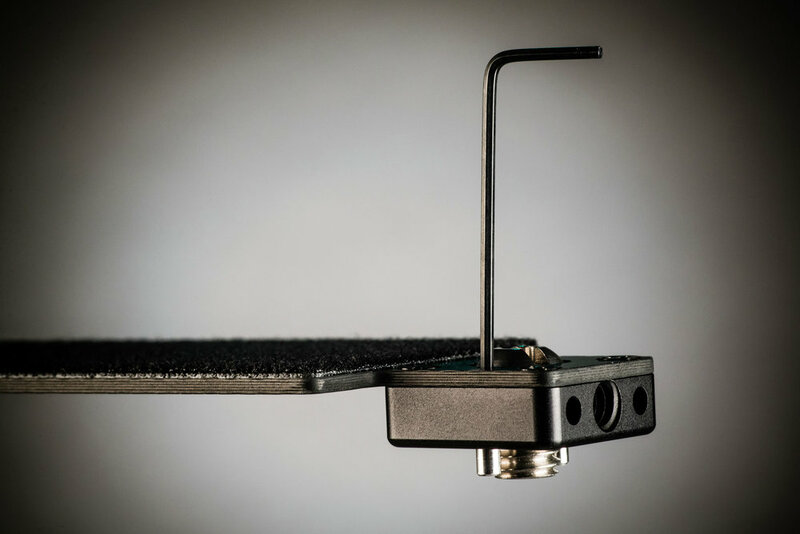 Bolt your plate directly to the side back or top of the camera when mounting a small accessory box, or get creative and put Ecto Plate on the end of an Noga arm for a multitude of other uses. 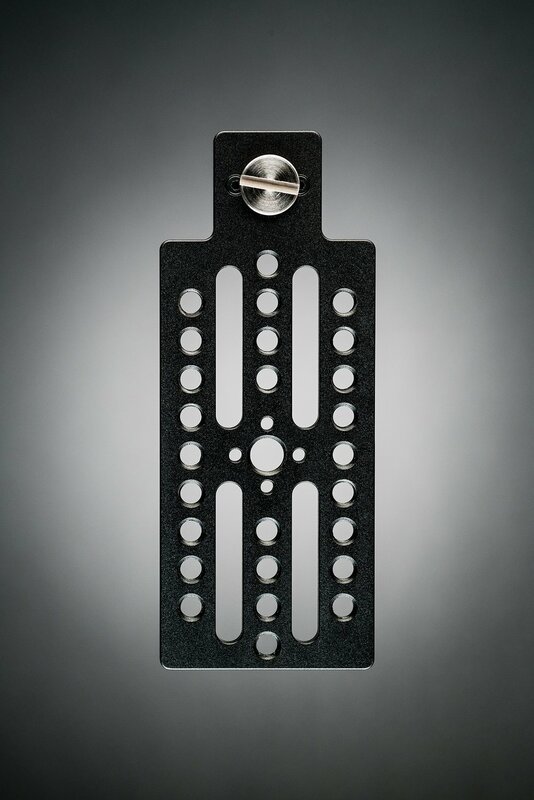 Ecto Plate AL& AL RA also have both 3/8-16 (captive) and 1/4-20 mounting screws plus a bevy of 1/4-20 holes, 3/8-16 center hole (with Arri anti-rotation pin receivers), and several 1/4" pass-through channels. 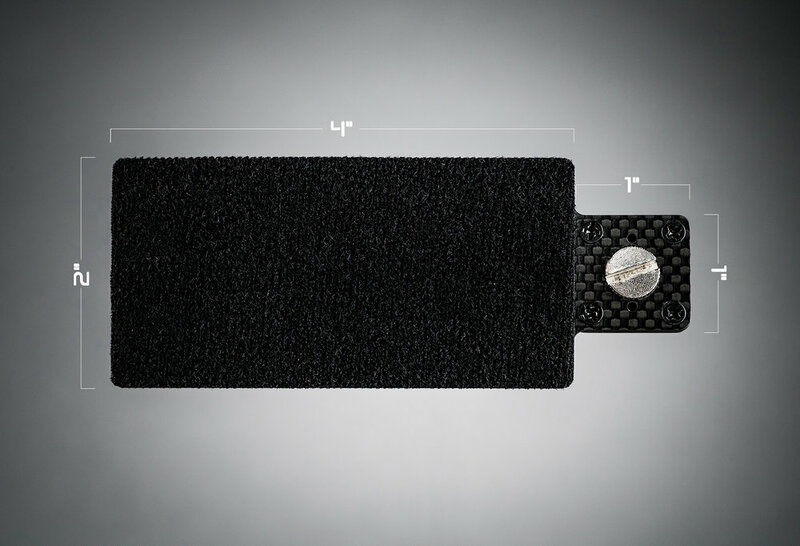 Hard mount directly to the plate or cover with our custom cut Velcro and attach your AKS that way! Available currently in six different flavors, rest assured there's an Ecto Plate perfect for your application and budget! Due to a very unfortunate factory error, all aluminum-type Ecto Plates are delayed until mid-June. 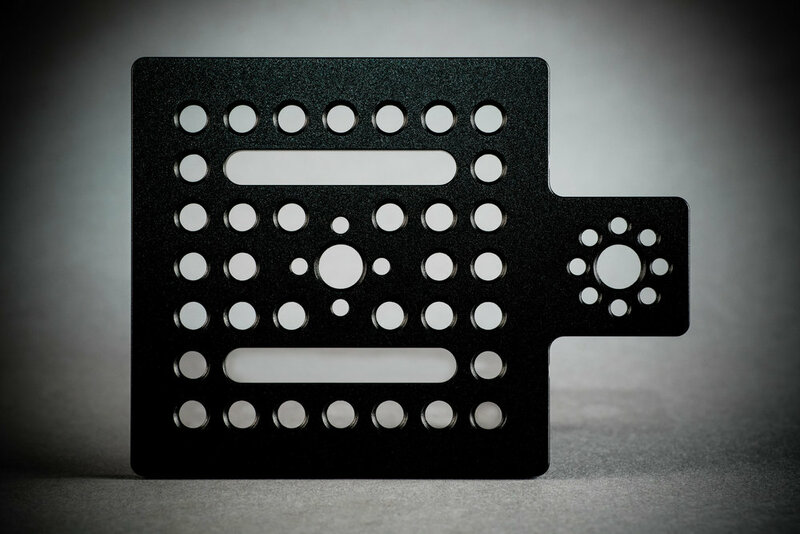 Version2 Carbon Fiber Ecto Plates are ready and shipping now! Get ready for Version 2! Redesigned pins and other great new features coming soon! Carbon Fiber. 2 inches wide by 4 inches long. 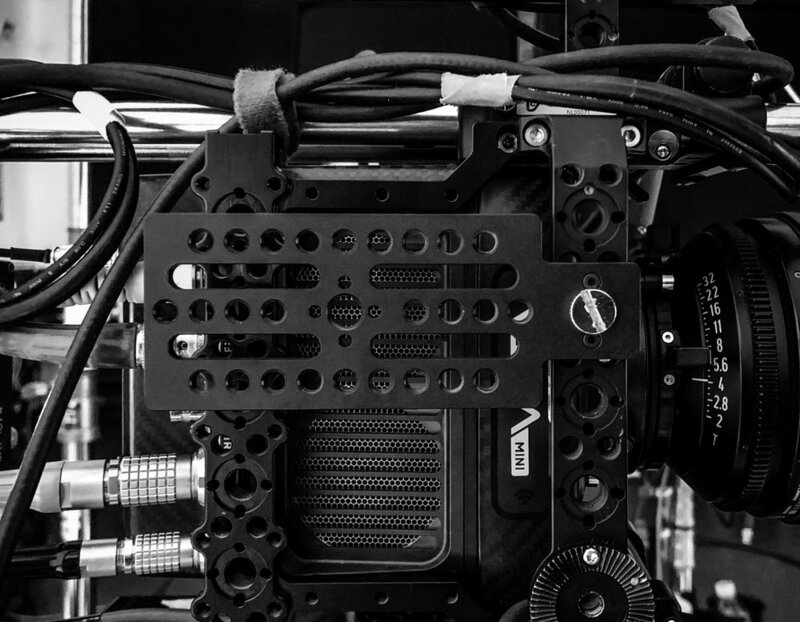 Perfect for: Teradek, Cinetape, timecode, audio box, UDM, UMC, etc. Carbon Fiber. 3 inches wide by 3 inches long. Perfect for: Cinetape readout, timecode/audio box, etc. Aluminum. 2 inches wide by 4 inches long. Perfect for: Teradek, Cinetape, timecode, audio box, UDM, UMC, etc. Aluminum. 3 inches wide by 3 inches long. Perfect for: Cinetape readout, timecode/audio box, etc. Aluminum. 2 inches wide by 4 inches long, with 1 inch right-angle tab. 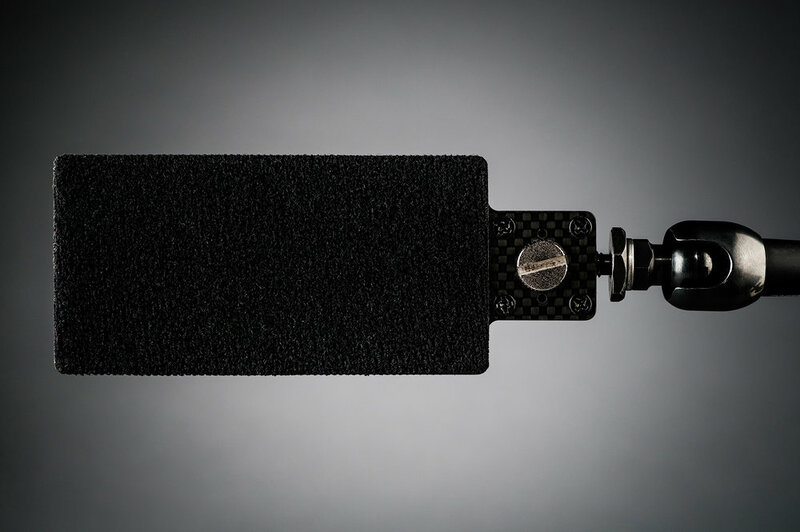 Perfect for: Teradek, Cinetape, timecode, audio box, UDM, UMC, etc. Aluminum. Can’t choose? Get both sizes of the new V2 Ecto Plates and save!